Looking to set up a new business? Deciding “where to” may be one of the challenges you’re facing. And for those of you who’ve been running the business through months & years may wonder what’s it like to run in the other kind of city. Here’s what makes the difference. In a smaller city, with fewer people, you can’t make much money. Whereas, in a big city “sky” is the limit. Think about it! When you’re the only one around, people have no other option than to buy from you. 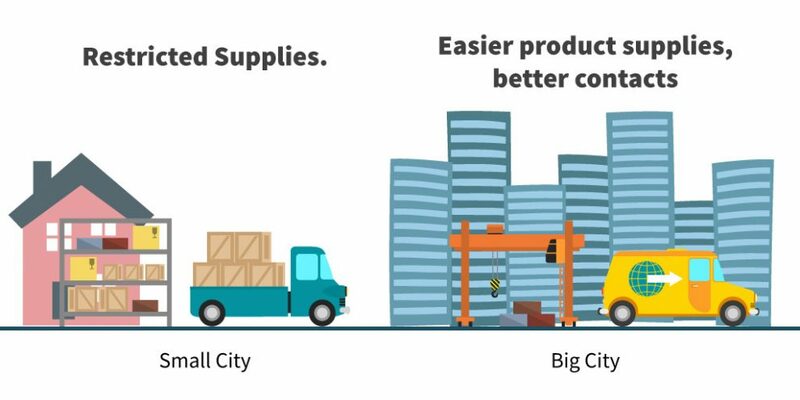 Whereas, big cities provide them 100 different options. This depends on how much cash you’ve got in hand. 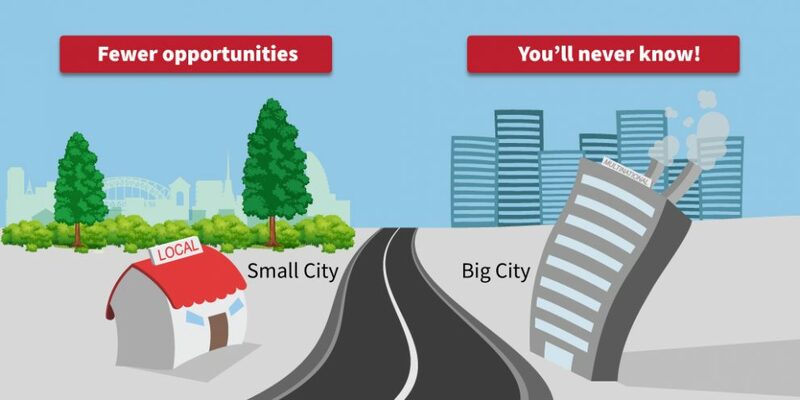 A commercial space with 1000 sq ft can cost you Rs.10,000 in smaller cities whereas Rs. 1,00,000 in big cities. In simple words, when you have budget issues, start small. 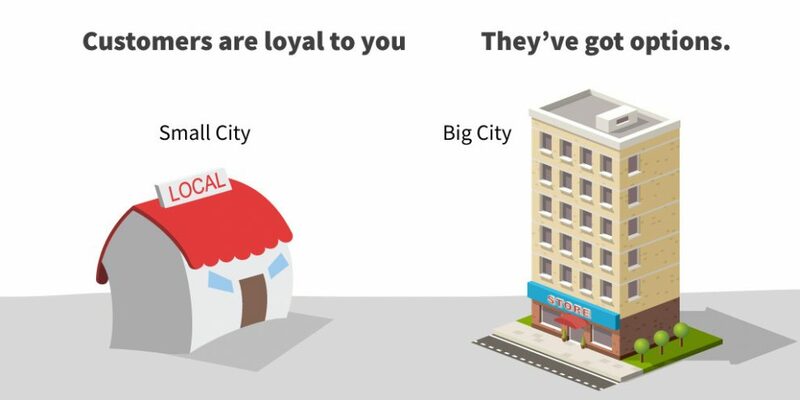 You’re likely to deal with regular & loyal customers in small cities. Whereas, in the other, customers often like to change the place they buy from. 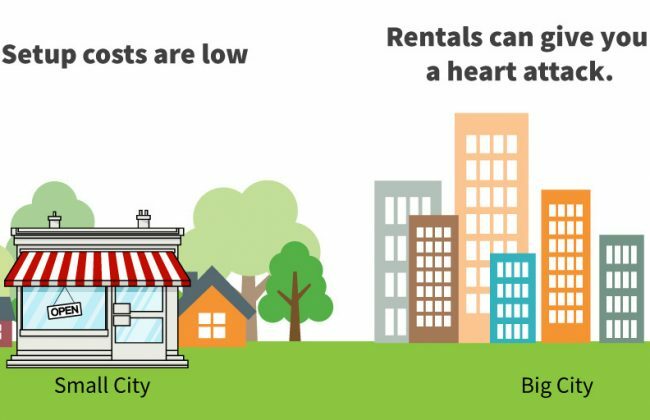 Cost of living in big cities is pretty expensive, whereas one can lead a life in bare minimum in smaller cities. Hence people demand accordingly. This is obvious, isn’t it? When you’re in the hub, everybody comes to you. When you’re not, you need to go behind everyone. All the above holds true if you’re not digital! With technology, you have to worry least about location. 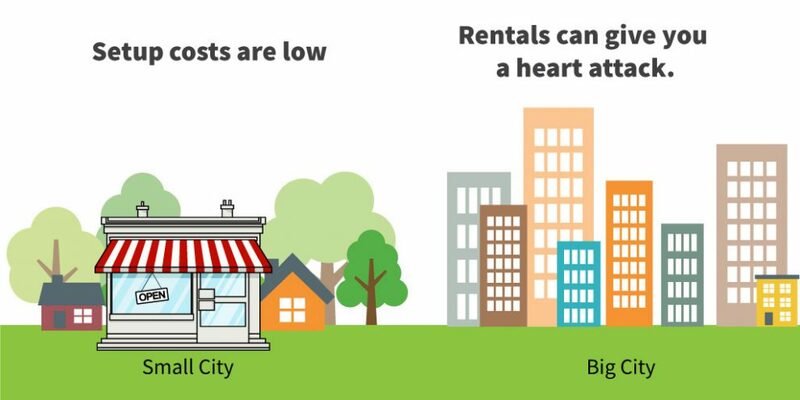 Of course, living in a big city will give you an advantage, but still, it is manageable in a smaller city. 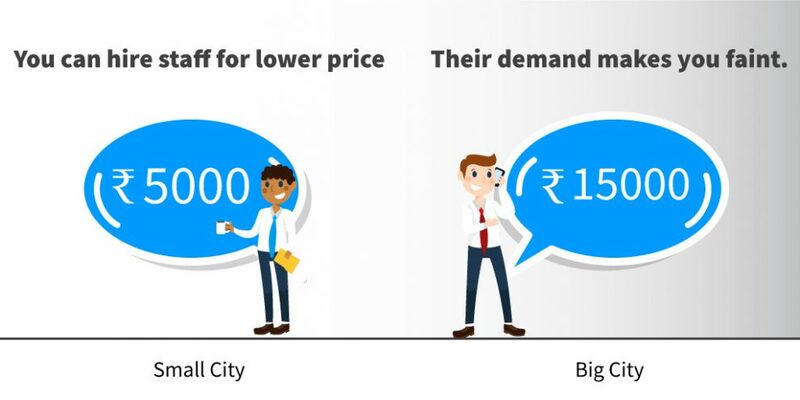 You can always set up an online store in Amazon.com or Flipkart or even use social media and set up a store, promote it daily. 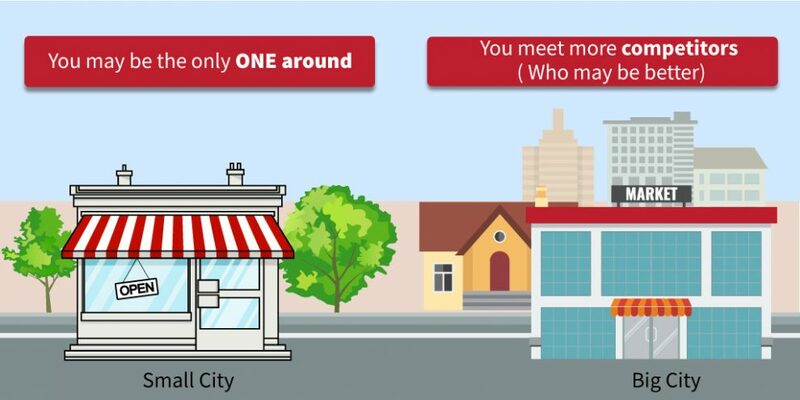 Many a time, running a business has nothing to do with your location. You can manage without staying there with just a business app like Vyapar. You can get to know everything about your business right on your mobile phone. Everyone has the key, it’s just the matter of using it!